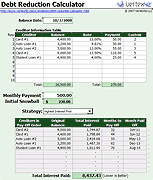 Use the snowball method to create a savings and debt payoff plan. What is a savings snowball? The snowball method is a type of rollover strategy for both debt payoff and savings goals. A savings snowball is a modern term for the old idea of allocating your savings to multiple goals based on priority and then focusing on one goal at time. The Savings Snowball Calculator below is an easy-to-use spreadsheet for Excel that can help you estimate how long it may take you to reach your short-to-mid-term goals. 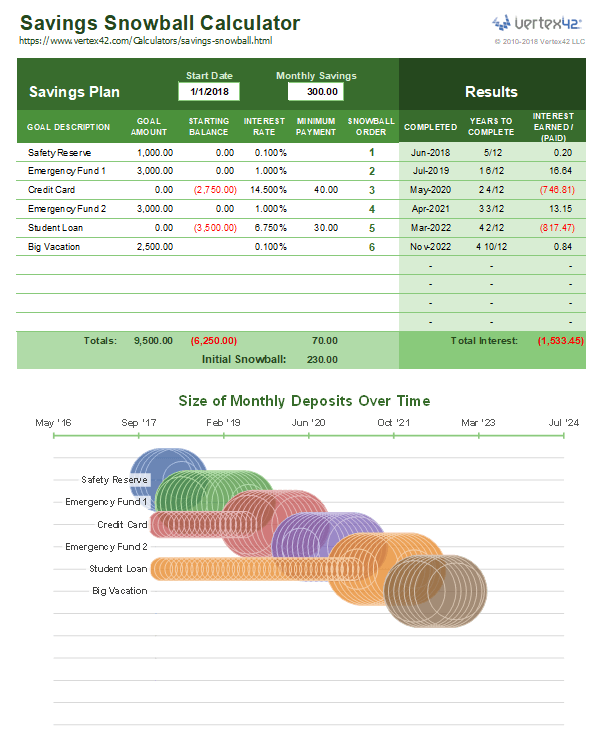 You can customize your plan and experiment with saving different amounts. 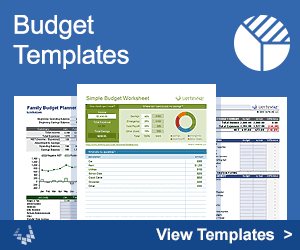 See the Financial Planner's Template Pack if you are interested in using this template to assist clients. Please read the blog post "Introducing the Savings Snowball Calculator" and use the comment section to share your comments or ask questions about this spreadsheet. How Does a Savings Snowball Work? The snowball is the amount of budgeted savings left over after making minimum payments. You throw the snowball at your top priority goal until it is completed, then you throw it at the next goal. Your snowball can increase as you pay off debts and roll the previously required minimum payment into your snowball. Save $1000 as a safety reserve. Pay off a credit card (which has a minimum payment of $30). Save $3000 in an emergency fund. At first, the only required monthly payment is $30, so you have a snowball of $200-$30 = $170 that you will put into the safety reserve. As soon as you have reached $1000 in your safety reserve, the $170 snowball is used to pay down the credit card. After the credit card is paid off, the snowball grows to $200 (because you are no longer paying $30 on the credit card). The entire $200 can be applied to the emergency fund. Disclaimer: This spreadsheet and the information on this page is for illustrative and educational purposes only. Your situation is unique, and we do not guarantee the results or the applicability of this calculator to your situation. You should seek the advice of qualified professionals regarding financial decisions.